Llanycefn was one of the original stations on the Narberth Road & Maenclochog Railway; opening with the line on 19 September 1876. The name was usually rendered as a single word although one of the tickets shown here uses a hyphenated form. The station is at the bottom of the narrow valley of the East Cleddau river; the railway and river keep close company for several miles. The station had a single platform on the up side of the line immediately north of the level crossing. It had a single-storey timber building with a pitched slate roof. There were two other small buildings on the south side of the station building. 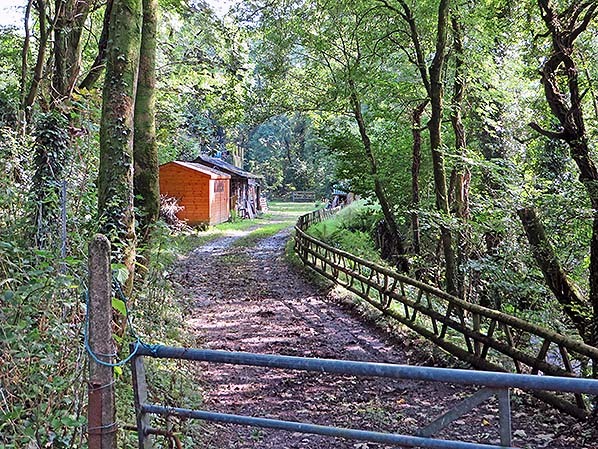 Llanycefn had a single goods siding on the south side of the level crossing on the up site. It handled only small goods items and parcels. A signal box believed to be by McKenzie & Holland was sited on the down side immediately south of the level crossing; the points for the siding were, however, worked by a ground frame. Llanycefn Station first closed on 1 January 1883, reopening in December 1884 and closing again on 31 March 1885; it reopened one more on 21 March 1887, only to close on 25 May 1887. When the line was extended to Letterston by the North Pembrokeshire & Fishguard Railway the station reopened on 11 April 1895. The signal box was removed when through service was restored between Clynderwen and Fishguard & Goodwick in 1923 after closure during WW1. On 25 October 1937 passenger train services were withdrawn for the final time on the line through Llanycefn but the station handled goods traffic until complete closure, with the line, by BR Western Region on 16 May 1949. 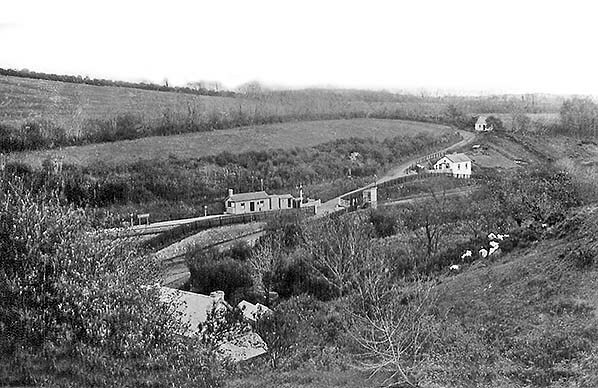 Llanycefn station is seen on an unknown date from an elevated position to the west. The level crossing is seen immediately south of the station. A small signal box is also visible on the south side of the crossing. 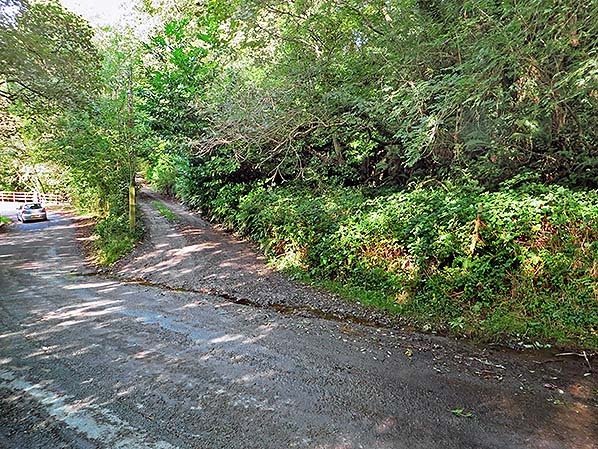 The line follows the narrow valley of the East Cleddau river. 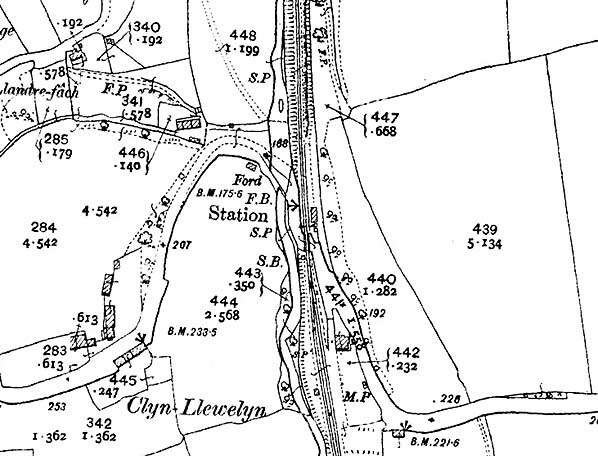 1907 1.2,500 OS map shows the layout of Llanycefn station. The road rises steeply out of the valley either side of the station. There is a single platform on the up side with the station building near the south end of the platform, close to the level crossing. Two small buildings can be seen between the main building and the crossing; one of these might have been the ticket office. The single siding is south of the level crossing on the up side. A signal box (SB) is shown on the south side of the crossing on the down side. 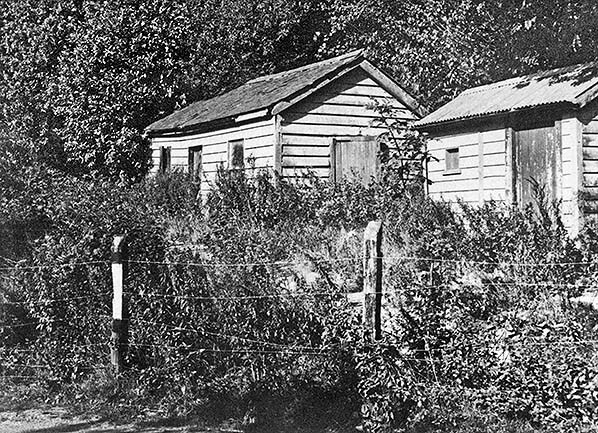 Llanycefn station station buildings in August 1959, six years after the track was lifted the site is already heavily overgrown. The small window in the building on the right suggests this might have been the ticket office with the larger building housing waiting rooms and toilets. 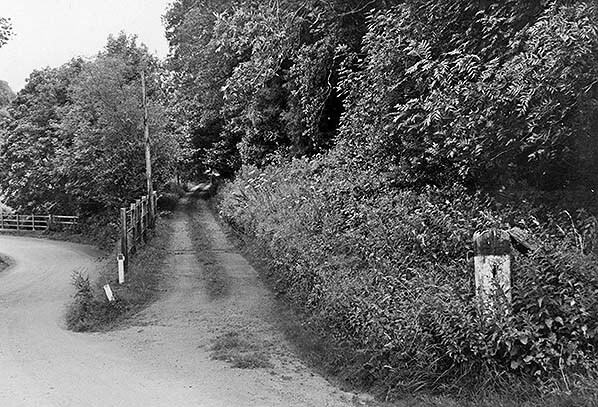 Looking north along the trackbed in July 1974. 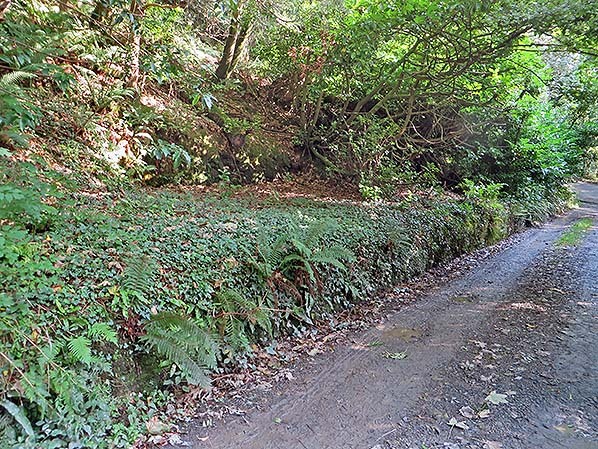 The overgrown platform is seen on the right. What appears to be a level crossing gate post is seen on the right. The overgrown platform at Llanycefn looking towards the level crossing in September 2016. 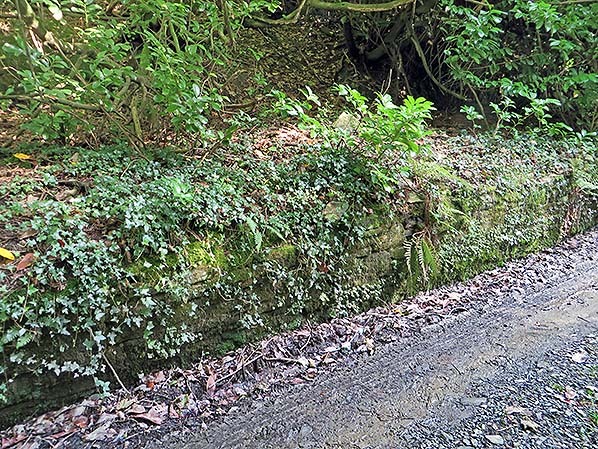 In places the degraded platform edging can still be seen (September 2016). Llanycefn station looking north from the level crossing in September. 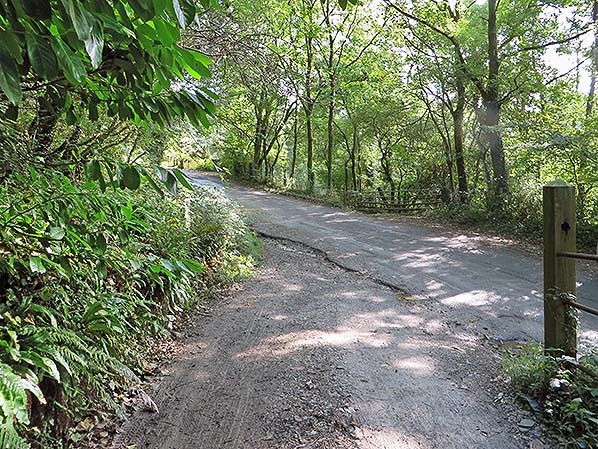 The gate post seen in John Mann's 1974 picture has been removed or has rotted away. The site of Llanycefn level crossing looking south in September 2016. Looking south along the trackbed from the level crossing in September 2016.